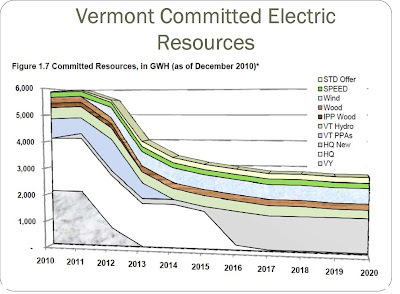 For the past two posts, I have been down in the weeds trying to make sense of the Vermont Public Service Department (PSD) request for comments on the 2015 Vermont Comprehensive Energy Plan. This plan describes the methodology for forcing Vermont energy to become 90% renewable, in all sectors, by 2050. 90% renewable can't actually be achieved in Vermont. However, the PSD has attempted to hide that simple fact by generating hundreds of pages of prose, and tens of pages of requests for feedback. As I say, I was down in the weeds reviewing this endless prose. What a waste of time. The New Vermont? No ten-acre lots here. The real question is: What is the goal of this draconian plan? What is the vision? What is Vermont's future supposed to look like? While I was parsing bureaucratic rambling, Bruce Parker of Vermont Watchdog reviewed the visionary goals of the plan. Parker's recent article describes the Green Vision for the Future of Vermont, as expounded by David Blittersdorf. Blittersdorf is the president of All Earth Renewables in Vermont, and a strong supporter (some would say "crony") of Governor Shumlin. Blittersdorf supports the Vermont Comprehensive Energy Plan, and frankly, stands to profit by it. Blittersdorf gave a presentation to the Addison County Democrats: Parker reviewed it. Here are some quotes from the Blittersdorf vision for Vermont. “The car has been our No. 1 reason we consume so much energy. Suburbia is built around the car; our highway system is heavily subsidized around the car….In Vermont, people like to live 10, 20, 30 miles from work. That’s going to disappear. The 10-acre lot way out in the middle of nowhere on a dirt road is not going to be working anymore. " Please read Parker's article at Watchdog: Green Energy CEO: Vermonters Must Abandon the Car, Embrace Renewable Energy Future. It is illustrated with fine picture of Governor Peter Shumlin stepping out of his Suburban to attend a rally. Click on the link and read it. Look at the comments, too. Yes. Living in cities is more energy-efficient. This is true. World-wide, more people are choosing to live in cities. However, I believe in choice. In choosing to live in cities, or choosing not to live in cities. I want inexpensive energy so people can make choices. Vermont is mandating only-renewable-energy, no nuclear, no fossil…. and therefore energy will be expensive, cars will be unavailable, and everyone-will-have-to-move. No ten-acre lots out in the country, not for Vermont anymore! Is New York City the model for Vermonters? This is not environmentalism This is coercion and arrogance. Meanwhile, the lords and masters can still drive their Suburbans? Blittersdorf presentation to the Addison County Democrats on June 8, 2015, Youtube. My down-in-the-weeds post about the renewable energy plan. My down-in-the-weeds post about commenting on the renewable energy plan. In yesterday's post I wrote that the Vermont Energy Plan is Basically Unworkable. It's not only unworkable, it is almost impossible to comment on it. Public comments on this update to Vermont's Comprehensive Energy Plan are due to the Vermont Public Service Department (PSD) by tomorrow. In my blog post, I encourage people to comment. I shouldn't ask people to do what I haven't done myself. I had no idea what I was getting into, when I decided to comment. For this round of comments, the schedule is very compressed. (There will be another comment period in the fall.) The PSD set invitational meetings in late June, has public meetings in July, and insists that all comments are submitted by late July. This is despite the fact there are hundreds of pages of reading material on these subjects. "Written comments are welcome at (https://www.surveymonkey.com/s/vtcepOC) by July 24, 2015. You may also provide comment in response to specific questions raised by the Department at (https://www.surveymonkey.com/s/vtcepFQ) by July 24, 2015." So I followed those links. OC. The pages of the OC form aren't really questions: They are topic areas in which you can comment. What areas of the 2011 CEP need updates? It includes links to all the volumes of the 2011 CEP. The next question links to a dozen recent PSD reports. It asks how these reports and processes should be incorporated into the new CEP. 9. How should the 2015 CEP update address the use of natural gas? How should the plan differentiate between policies regarding the use of this fossil fuel and policies regarding construction of pipeline infrastructure that can carry both fossil natural gas and other gaseous fuels such as renewable natural gas? Clearly, commenting on these forms could be a full time job. I don't have full time for this, and I suspect my readers don't have full time for it either. So, I am back to square one. I shouldn't ask people to do what I haven't done. What am I going to do? 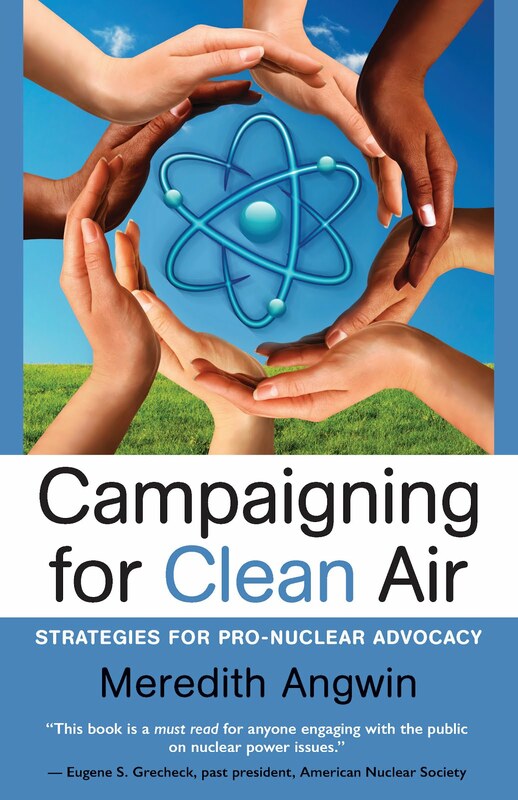 On page 8 there's a space to make a positive comment about nuclear energy, which I did. On page 9, I was a bit crabby. I said the Comprehensive Plan is a slogan, not a plan. I also suggested the PSD stop wasting taxpayer money on writing expensive reports. In the FQ document, the first question is about "what parts of the 2011 CEP plan need to be updated." I suggested that, since we are making very little energy instate, we should plan to buy more energy from Seabrook and Millstone. The Vermont Public Service Department (PSD) is revising the Vermont Comprehensive Energy Plan which they issued in 2011. They want public input by July 24, in other words, this Friday. Here's the main link to their page about updating the plan. 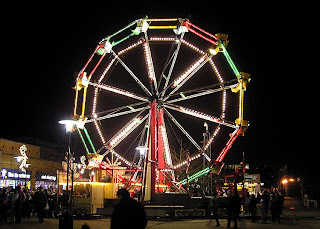 The lower section of this post contains links for commenting. Yes, the plan has been under serious discussion for about a month. First PSD had invitation meetings (late June), now they are having public meetings (July). Then they will issue a draft 2015 plan and request further comments later in the year. You can see local timeline here. The 2011 plan is one of the base documents. We've got the big green part at the bottom: HydroQuebec. HydroQuebec falls off somewhat as the old contracts finish, but it is still steady. Above it is the steady purple of Vermont and New York State hydropower, and the increased level of nuclear (medium blue) as the Seabrook contracts begin. Then there's that huge red part, "residual mix" (aka "buying from the grid or short-term contracts") that is supposed to diminish. As a matter of fact, it's supposed to go away entirely. After all, the Vermont plan is for 90% renewables, and the chart shows that we already have a big section of nuclear (relatively new long-term contracts). Nuclear is clean-air, but the Vermont plan isn't about clean air and low carbon, it's about renewables and only renewables. In other words, with the nuclear purchase in place, in order to meet the Vermont plan, we really can't afford to buy a single electron from the grid. We also can't afford to expand our use of natural gas. All that white space at the top right must be filled with renewables. "Expected identified resources ….leave 46% of the electric portfolio undetermined." 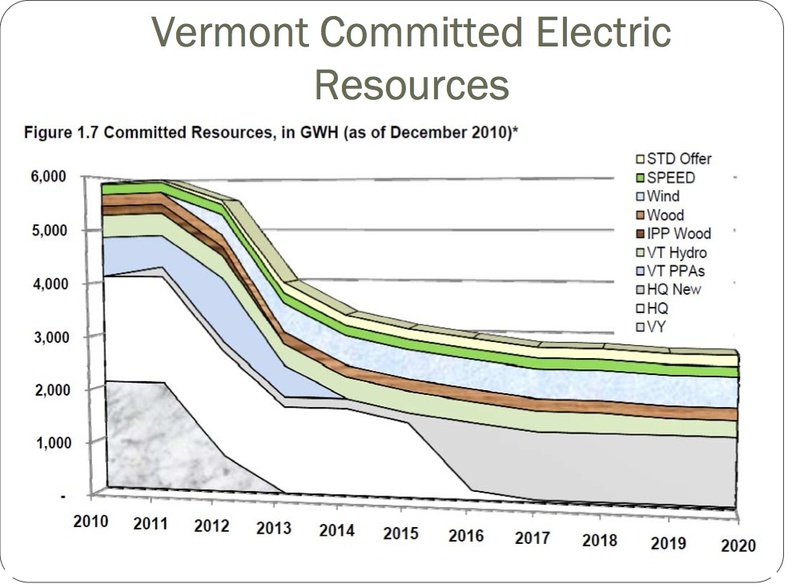 If you look at the 2015 chart above, you will notice that the line at the top (how much electricity Vermont is projected to require) slopes up gently to the right. On that chart, the Vermont electricity requirement number seems to hang right around 6,000,000 MWh (6 TWh) for fifteen years. But if you look at another chart in the same viewgraph presentation, you get quite a different picture. 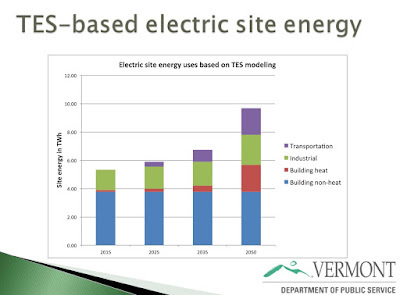 This is Vermont projected electricity use from the TES (Total Energy Study) done for the PSD. 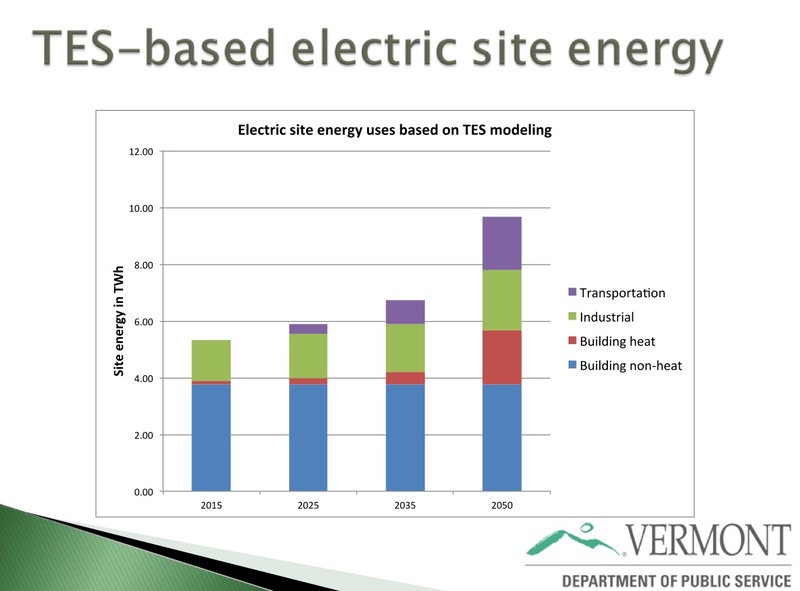 The TES study included all sectors of energy use, and predicted that Vermont can lower total energy use significantly. However, to do this, Vermont will use considerably more electricity (electric vehicles and heat pumps). The chart below sums this up. In this chart, as building heat (heat pumps) and transportation (electric vehicles) kick in, the Vermont energy use goes from around 5 TWh in 2015, to around 9 TWh in 2050. 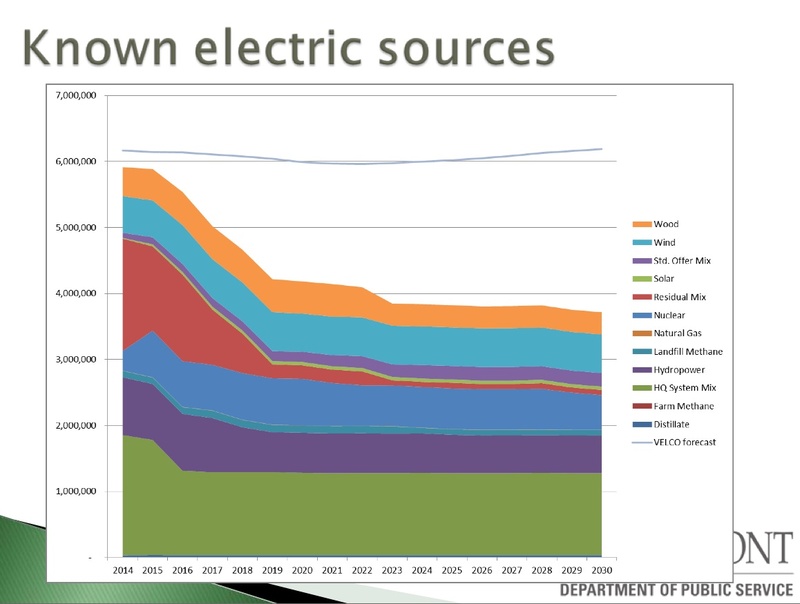 In other words, the Known Electric Resources chart ended in 2030, with just a gentle uptick in demand, as shown by the top line of the chart. For that top line, PSD used a VELCO projection of energy use, instead of referring to their own PSD studies. I don't know what study they used for the "46% of the portfolio" number. However, if Vermont really runs all sectors on renewables and therefore electricity, we are going to need much more electricity than estimated by VELCO. Vermont electricity use practically doubles by 2050. It looks to me as if "46% of the portfolio…. is undetermined" could be a serious underestimate of the problem. Where will we get so many renewables? I think that buying from Hydro Quebec seems the only realistic option. And of course, HQ will love the sight of Vermont needing to buy their power! Talk about Vermont having no bargaining position whatsoever. Ah well. We can always write to the PSD, and encourage them to read their own reports. Once again, the main page about the 2015 plan is here. The 2011 Comprehensive Plan was quite lengthy. It consists of five documents: a one-page overview, a 14 page summary, a 314 page main document, an appendix document (each appendix is separately paginated: I guess the appendix document at 200 pages) and a 26 page "public involvement report." (This last report contains a very amusing typo at the bottom of most pages. I know that everybody makes mistakes, including me. No big deal. Still, I find my little smiles where I can.) You can find links to all these documents at 2011 Comprehensive Energy Plan. On to the 2015 plan. There's a ten-page document of questions about the 2015 plan CEP Process Kickoff Final. This document contains a lengthy list of energy reports that have been issued by state agencies since 2011. Yes. There's a lot of reading ahead if you want to read everything before commenting on the 2015 plan. You won't have time to read all this before Friday. I hope this blog post has given some guidance. At Nuke Power Talk, Gail Marcus reports on an article that echoes a theme she's been concerned about for years--that some actions taken in the name of conservation, or of combatting climate change, are actually short-sighted or counterproductive. Recently, the Washington State legislature has allocated money for a study of siting Small Modular Reactors (SMR) in the state. Energy Northwest has an agreement with NuScale for future use of their reactor. At a recent meeting in Boston, NuScale reported on its plans for obtaining an NRC license. In this post, Meredith Angwin describes the meeting and NuScale's plans. This month the US Nuclear Regulatory Commission (NRC) kicked off the restart of the license renewal for the twin 100 MW Westinghouse PWR type nuclear reactors at the Pacific Gas & Electric Diablo Canyon site located on California’s Pacific Ocean coast 200 miles north of Los Angeles. Make no mistake about how these concerns are presented by the California environmental movement. It is stridently anti-nuclear and has just one objective, and that is to end the operation of the reactors. Now that Vermont Yankee is closed, Vermont utilities have asked the Vermont Public Service board to approve new contracts with Seabrook. Post by Bruce Parker includes details of the utility requests, interviews with utility executives, and an interview with Guy Page of Vermont Energy Partnership. Utility companies in Vermont are buying nuclear capacity from New Hampshire while Vermont dismantles its former electricity-generating nuclear powerhouse. “We got a 20-year contract with NextEra, which is not very typical,” David Hallquist, CEO of Vermont Electric Cooperative, said of his company’s move to stock up on low-cost nuclear generation. “The generators who are going to be around a long time, such as a nuclear plant, are going to sell long-term contracts. And with the volatility of the forward capacity market … we expect upward pressure (on prices) to continue,” he said. Hallquist said his company filed a petition with the Public Service Board the last week of June to get approval of the long-range contract with NextEra, a Florida-based energy company that operates a nuclear power plant in Seabrook, New Hampshire. The nuclear plant is attracting business as officials in the Green Mountain State work to decommission Vermont Yankee, a nuclear plant that formerly supplied 70 percent of all electricity generated in Vermont. 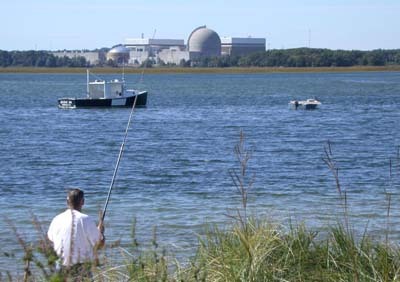 Vermont Electric Cooperative, the state’s largest locally-owned electric utility, seeks up to 10 megawatts of capacity from the Seabrook nuclear plant. Hallquist says locking in a long-term rate on nuclear capacity makes sense due to nuclear power’s affordability relative to other power sources. “Capacity in New England used to be fairly inexpensive relative to today — and that was just two years ago that it was relatively inexpensive. The capacity charge was just $3 a megawatt-month back two years ago. Today it’s $10 a megawatt-month,” he said. To keep the lights on and prevent blackouts, electric utilities purchase both energy and capacity. Energy, measured in megawatt hours, is the electricity currently being consumed. Capacity, in contrast, is stable backup power that utilities use to manage peak loads that draw upon the grid. The amount of capacity utilities need is determined by ISO standards set by 13 independent system operators across the country. Those operators monitor grid use and provide oversight to keep the grid stable. NEW HAMPSHIRE STRONG: Vermont utility companies are planning to purchase nuclear power capacity from New Hampshire’s Seabrook Station Nuclear Plant due to the plant’s stable generation and highly affordable rates. Halquist’s company isn’t the only utility stocking up on next-door nuclear. 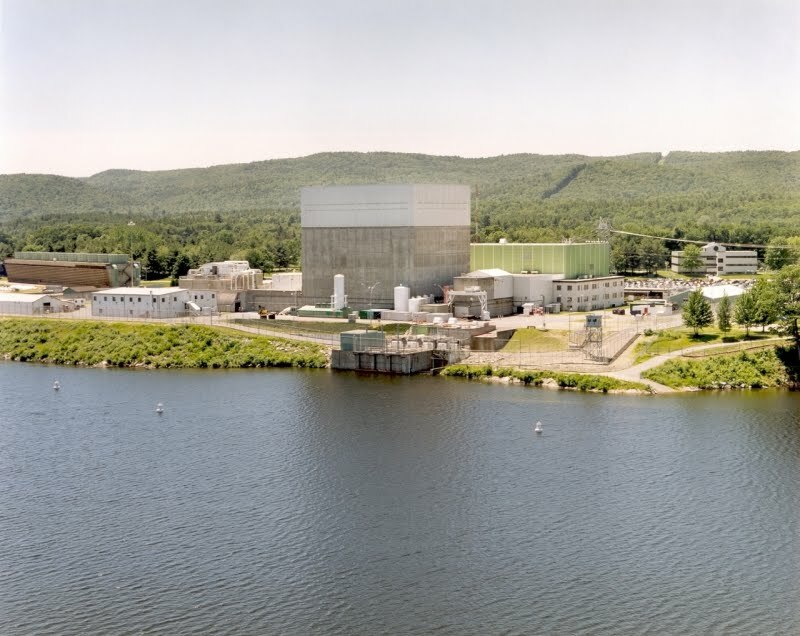 In January, Green Mountain Power petitioned the Public Service Board for a 16-year, 150-megawatt contract purchase of nuclear from Seabrook. “What we have filed for is a purchase that is mostly capacity and a little bit energy. We need that to help with our capacity obligations,” Dorothy Schnure, spokesperson for Green Mountain Power, told Vermont Watchdog. Schnure said the company’s nuclear request underwent Public Service Board hearings in early June and now awaits approval. “We went out to bid because we needed more capacity to help stabilize prices, and this was the lowest of the bids,” she said. Green Mountain Power uses nuclear generation for energy use as well as capacity, which is why its petition includes both. According to Schnure, the company hoped to reduce the nuclear energy in its portfolio but now intends to increase it. 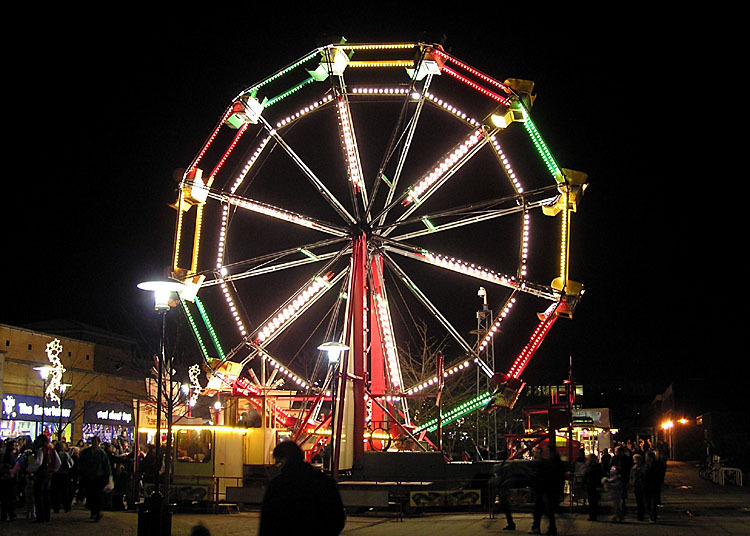 “Originally, it was set to decrease to 50 (megawatts) and then decrease again to 40 megawatts. (As) part of this recent filing we slow the energy ramp down. Instead of going from 60 to 50 to 40, it goes from 60 to 50 to 55. So, going out into the future, we get a little bit more energy from Seabrook than we originally were getting in the original contract,“ she said. In 2013, Entergy announced it was closing Vermont Yankee due to financial considerations. The Nuclear Regulatory Commission extended the plant’s operating license 20 years starting in 2011, and in 2012 Entergy won a court battle preventing the Vermont Legislature from shutting down its operations, which lawmakers attempted in 2010. Page said Vermont Yankee, in addition to offering clean low-cost power, provided Winham County with good-paying jobs, money and volunteers for homeless shelters, and public safety emergency responders. Page claims the situation in Vermont compares with Germany, which closed nuclear plants after the Fukushima disaster in Japan, but had to install coal plants to make up for the lost electricity generation. This article originally appeared at Vermont Watchdog Org on July 8, 2015, and is used with permission. Guy Page of Vermont Energy Partnership is quoted near the end of this post. 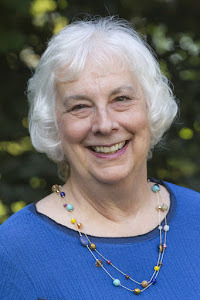 Page is a frequent guest blogger at this blog. David Hallquist, CEO of Vermont Electric Co-Op, is quoted near the beginning of this post. Mr. Hallquist has published a guest post on this blog. Meredith Angwin sends her appreciation to Bruce Parker, Guy Page and David Hallquist for their appearance on this blog. Just because the Legislature has gone home doesn’t mean Vermont has taken a holiday from energy deals and projects. Far from it! In June alone, the wheels were turning to bring more hydro, nuclear (you read correctly), natural gas, and solar power to Vermont – or in the case of hydro, at least through Vermont. 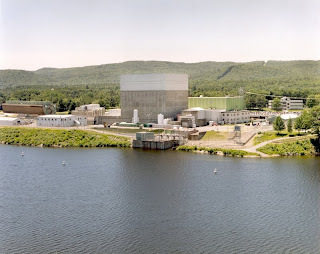 Nuclear – in June both Green Mountain Power (GMP) and Vermont Electric Co-operative (VEC) petitioned the Vermont Public Service Board (PSB) to buy nuclear power from Seabrook nuclear power plant in New Hampshire. Both deals would run from 2018 – 2034. Details are preliminary at present, but VEC’s petition calls for up to 10 MW of power. GMP, for its part, hopes the contract will help cover peak load needs. This will be the second GMP contract with Seabrook; the state’s largest utility entered into a baseload power contract in 2011. Meanwhile at Vermont Yankee, the U.S. Nuclear Regulatory Commission has given the shuttered plant permission to access the decommissioning trust fund to help pay for spent fuel management, much to the consternation of the State of Vermont Department of Public Service. VY has also arranged about $150 million in private financing and has said that all spent fuel management monies will be reimbursed when the U.S. Department of Energy returns the funds set aside for the unopened national spent fuel repository. Hydro – the Vermont Conservation Law Foundation has endorsed the construction of the TDI cable project beneath Lake Champlain, following the Quebec-based company’s decision to deliver $283 million for Lake Champlain cleanup. If built (2019 start date), the TDI project would carry hydro power south under the Lake, make landfall at Benson in Rutland County, and then traverse Vermont underground. Southern New England is regarded as the priority customer for the 1,000 MW of TDI power. The cost is expected to be 9-10 cents per kw/h, including the cost of construction, Vermont energy experts say. At least it will not suffer the fate of the Quebec high power transmission lines that were damaged from above in December, 2014, causing a power loss to almost 200,000 southern Quebec customers. Norman Dube, 53, a Quebec resident who allegedly had a labor dispute with Hydro Quebec, dropped unnamed objects on the power lines from an airplane, according to CBC coverage of his trial, which began this month. Natural Gas - The PSB held hearings June 22-23 in Montpelier on the embattled Phase One (to Middlebury) Vermont Gas Pipeline Project. It was concerned that the cost estimate had jumped about 85% to $154 million. No decision on the project’s future was expected this week. However, supporters of New England regional fuel diversity note that the unexpected cost increases should be a cautionary tale to supporters of the “just build more gas pipeline” solution to New England’s projected energy supply shortfalls. Over-reliance on any one form of power – be it price-volatile natural gas or Quebec hydro-power – is risky for both reliability and affordability. Solar – State energy officials, speaking at a June 24, Montpelier discussion of the revised Comprehensive Energy Plan, said instate solar development will be very heavy during the next 18 months, to take full advantage of federal tax credits for renewable energy construction before they expire Jan. 1 2017. As if to illustrate, the Rutland Herald reported the planned construction of two Cold River Road, Rutland Town solar farms totaling 55,000 panels spread out over 80 acres. One of the projects already has PSB approval, but will be appealed by Rutland Town to the Vermont Supreme Court. Guy Page of VTEP is a frequent guest blogger at this blog. This article has also appeared in several publications in Vermont, including Vermont Business Magazine. On June 24, in Boston, Bloomberg BNA and Nuclear Matters co-sponsored an event about the future of nuclear, Nuclear Going Forward. The two organizations are holding a series of these joint events. The June meeting was A Chain Reaction: The Role of Nuclear Energy in New England's Energy Mix. The June meeting had an absolutely stellar line-up of speakers, including nuclear plant owners and nuclear start-up companies. In this meeting, nuclear energy (current and future) was not compartmentalized, but rather presented as a whole. And the conference focused on New England! I was delighted to go to it. I wrote about my plan to attend the meeting in this blogpost, and you can see the videos of the meeting at the Nuclear Going Forward website. Vermont Yankee and Nuclear Going Forward. There were three main sections to the meeting. I will discuss only the second section: a panel focused on existing power plants. The panel started with extensive discussion about Vermont Yankee (video below). Topics included the reasons for Vermont Yankee shutting down, the consequences of Vermont Yankee shutting down, and the risk factors for other plants in the Northeast. Many of the statements made on this panel will be familiar to readers of this blog. However, there were some factors that were new to me. What is a "single plant? I knew that single, stand-alone plants are more vulnerable to being shut down. However, I didn't remember that Millstone 2 and 3 have different vendors. They do not have the economies of "sharing" (operators, training, etc.) that most dual-unit plants can boast. They are more vulnerable than other dual-unit plants because their labor costs are higher. It would be a disaster for the New England grid if these plants closed. Do capacity payments help? I had been heartened to see that the forward capacity auction has been yielding higher prices. That fact, coupled with grid-level "pay for performance," seemed to favor nuclear plants. However, Mohl of Entergy pointed out that nuclear plants run with a very high capacity factors. Most of their revenue comes from kWh produced, and only a small part of their revenues are capacity-type payments (capacity and pay-for-performance). Nuclear plants receive 15-20% of their revenue through the capacity auctions. Plants that run a small percentage of the time get much higher percentages of their revenue from the capacity auctions. In other words, increased prices at the capacity auctions don't help nuclear plants all that much. Laughing all the way to the bank? During the Polar Vortex, prices on the grid soared and merchant plants gathered a lot of revenue. All businessmen like extra revenue. Still, Mohl of Entergy pointed out that this kind of volatility of energy prices is not good for anyone. Businesses that can't predict their costs will begin to leave the area. Consumers will have less to spend in the area as their utility bills take up more of their income. The result can be a downturn. General economic downturns aren't good for consumers or for energy producers. In other words, during the polar vortex, merchant plants weren't really laughing all the way to the bank. environmental sustainability (no carbon, no acid gases, small quantity of mined material compared to fossil fuels of all kinds). The general consensus of the meeting, however, is that unless the grid begins to value these benefits, nuclear may have a rocky future. The first section of the meeting was an interview with John Kotek of DOE about DOE's funding for nuclear-based research. The third section was a panel which included executives from forward-looking nuclear companies, such as LightBridge and NuScale. Chris Gadomski (Lead Analyst, Nuclear) from Bloomberg New Energy Finance was the moderator for all sections. As you can see in the videos, Gadomski asked excellent questions. He kept the meeting interesting and (miracle!) on schedule. you have the money to stay overnight in Boston, preferably at an expensive hotel in Boston's Back Bay. Neither was true for me. I left my driveway in Vermont at 5:17 a.m. for what Google describes as a two-hour-and-ten-minute drive if there was only light traffic. I arrived at the meeting room at 9:05. (Breakfast was over and the first session was starting.) Yeah, traffic was bad. I wasn't the only one who was late. Once I got there, it was worth it. However, the choice of time and place did make me wonder. What audience were the meeting planners hoping to attract? Why was the meeting set up in this difficult manner? Rod Adams was also at the meeting, and his blog post about the meeting is here. He has some interesting observations, including illuminating conversations with panelists. There are over twenty comments on his post, and I encourage you to read both his post and the comments.